Adventure beckons. Will you hear the call? 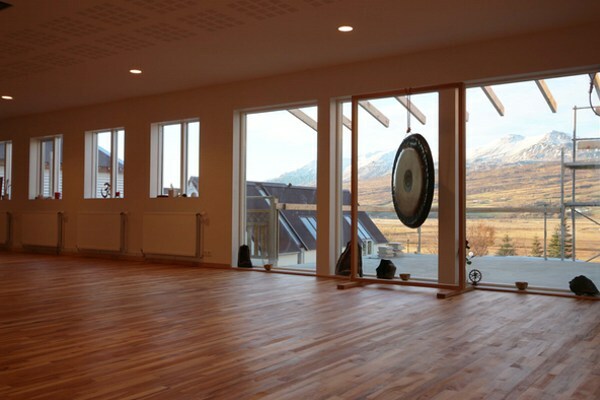 Serena Crawford, Sarah Faircloth, and Rachael Goolsby lovingly invite you to the dramatic and inspiring landscape of Northern Iceland for a week of yoga practices, group meditations, adventures, Northern Lights (Mother Nature permitting) and Norse Myths. 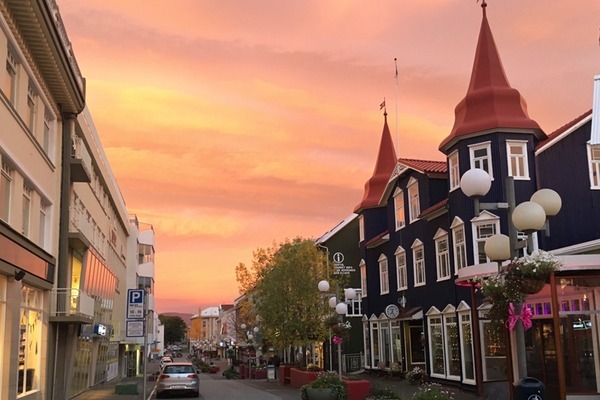 Your trip will land you in Akureyri, located in Northern Iceland. Akureyri is Iceland's second largest city, and the location where legend holds the Vikings first landed in Iceland. Your accommodations will be in a hotel or apartment in the middle of the charming city. Each morning you will have breakfast in your shared apartment or hotel. Then you will be picked up and transported across the fjord to the yoga center which overlooks the mountains and water. After morning practices, you can luxuriate in the center's outdoor geothermal Jacuzzi or relax in a dry sauna. In the afternoon, you'll travel back to town for a delicious lunch. Most afternoons and evenings include adventures around town and the area. This includes viewing the Northern Lights, horseback riding or whale watching, walking tour of Akureryi, visiting waterfalls, and Myvatn--the "Bloo Lagoon of the North." There will also be three afternoon yoga practices during our time together. Most evenings you will return to Akyreyri for dinner. Afterward, relax in your apartment and enjoy your jacuzzi and the pure delight of being in Iceland. A fairy-ride to Hrisey Island, a stone's throw from the Arctic Circle.